Adrienne Rich was born in Baltimore, Maryland, in 1929. She is the author of nearly twenty volumes of poetry, including Fox: Poems 1998-2000 (W.W. Norton & Co., 2001), Midnight Salvage: Poems 1995-1998 (1999); Dark Fields of the Republic: Poems 1991-1995 (1995); Collected Early Poems: 1950-1970 (1993); An Atlas of the Difficult World: Poems 1988-1991 (1991); Time's Power: Poems 1985-1988 (1989); The Fact of a Doorframe: Poems Selected and New 1950-1984 (1984); The Dream of a Common Language (1978); and Diving into the Wreck (1973). She is also the author of several books of nonfiction prose, including Arts of the Possible: Essays and Conversations (W. W. Norton, 2001), What is Found There: Notebooks on Poetry and Politics (1993) and Of Woman Born: Motherhood as Experience and Institution (1986). In 1999 Rich received the Lifetime Achievement Award from the Lannan Foundation. Her previous awards include the Academy Fellowship, the Ruth Lilly Poetry Prize, the Lenore Marshall Poetry Prize, the National Book Award, and a MacArthur Fellowship; she is also a former Academy Chancellor. 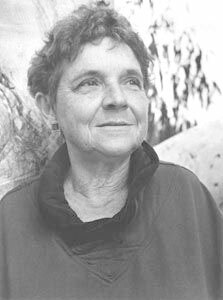 In 1997 Adrienne Rich was awarded the Academy's Wallace Stevens Award for outstanding and proven mastery in the art of poetry. She lives in northern California.